Born in Kildonan on 14 November 1841, one of ten children of Samuel Henderson (?-1864) and Flora Livingstone (1805-1865), brother of Angus Henderson, he attended St. Paul’s and Kildonan schools. He later farmed on the east side of the Red River until his retirement in 1905. During the 1860s he was active in freighting to St. Paul, Minnesota. He frequently boasted about the prices he received for his land when he sold it at the end of the century. On 24 March 1869 he married Ann Munroe, sister of James and George F. Munroe. They had five children: Flora Livingstone Henderson, Samuel Henderson, Mary Henderson (?-1963), Christy Fraser Henderson (wife of Charles Fry), and Evelyn Marion Henderson (wife of David Y. Matheson). 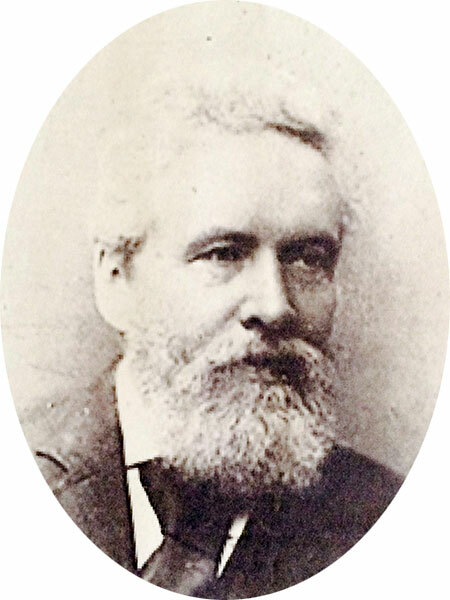 He was a life member and Vice-President of the Lord Selkirk Association of Rupert’s Land, President of the Conservative Association of the County of Selkirk, a member of the Kildonan municipal council for 25 years (Reeve from 1900 to 1905), and a trustee for East Kildonan School Board for 20 years. He died at East Kildonan on 12 March 1922 and was buried in the Kildonan Cemetery. He was later commemorated by John Henderson Junior High School. Also named for him is the John Henderson Library (shortened to Henderson Library), officially opened by daughter Mary. There are extensive papers in the Archives of Manitoba. “John Henderson dead,” Manitoba Free Press, 13 March 1922, page 1. Obituary [Mary Henderson], Winnipeg Free Press, 5 January 1963, page 28. We thank Jim Smith, Nathan Kramer, and Jim Spence for providing additional information used here.